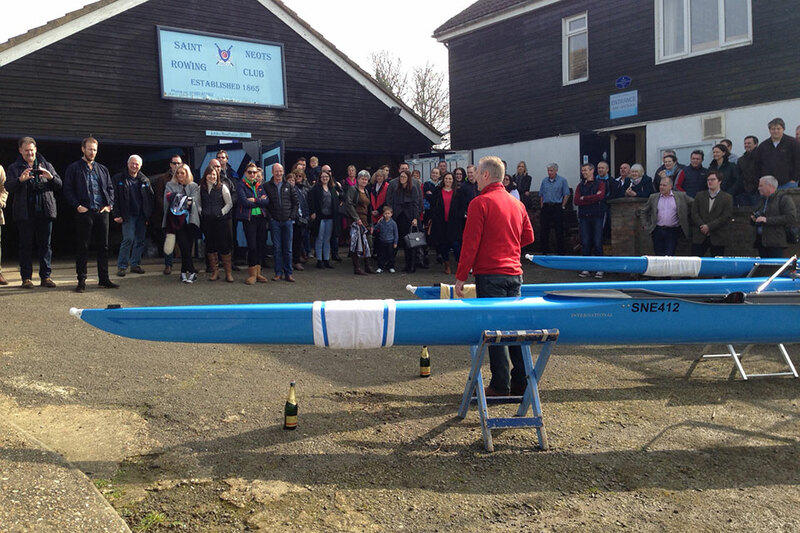 Members past, present, young and old gathered at the club recently for a special and poignant boat naming ceremony. 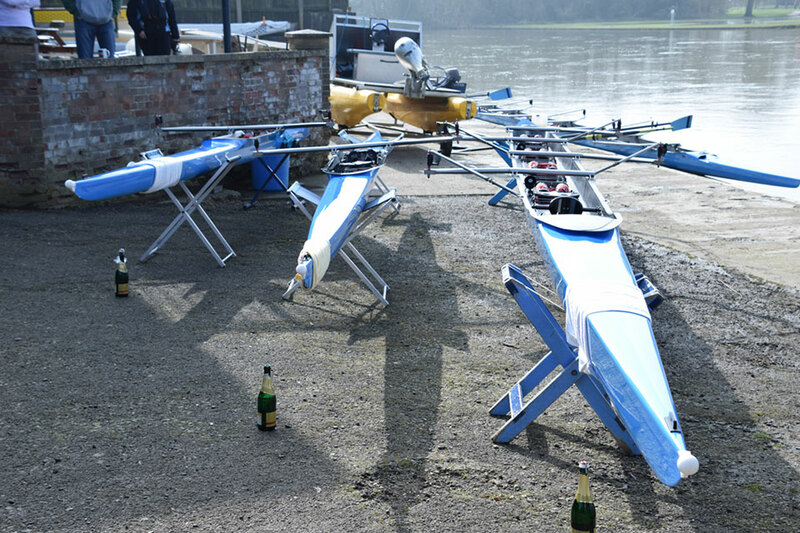 Two singles and a coxed four were doused in Champagne as their names were revealed: one to mark a club anniversary and two in memory of former members. 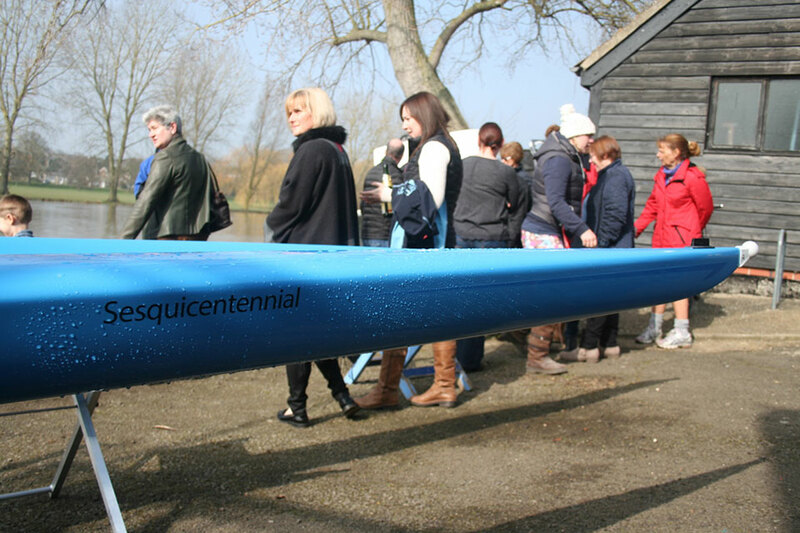 First up was Sesquicentennial, the term used to describe a 150th anniversary, which now adorns one of our new singles. 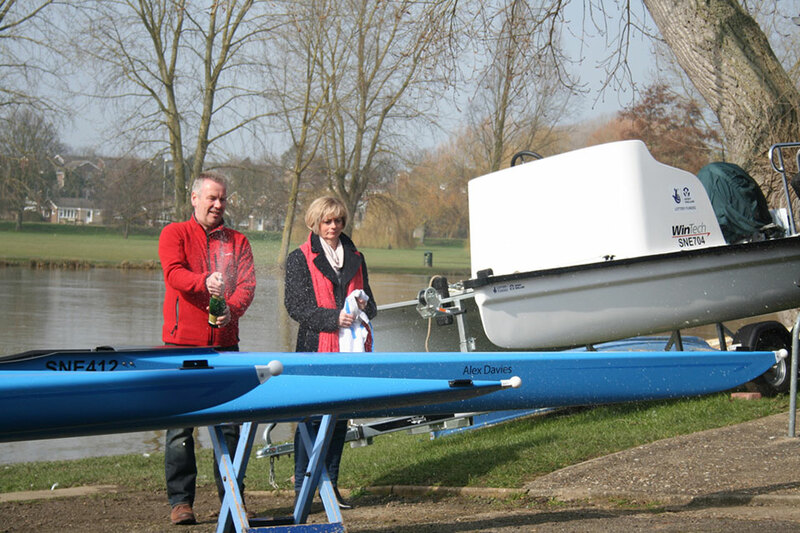 The name marks St Neots Rowing Club’s 150th year, in 2015, and was revealed by last year’s club captain, Ali Young. 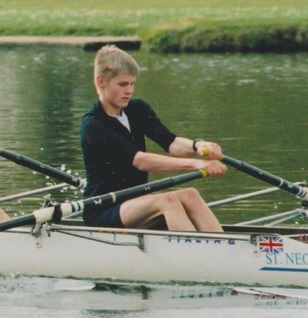 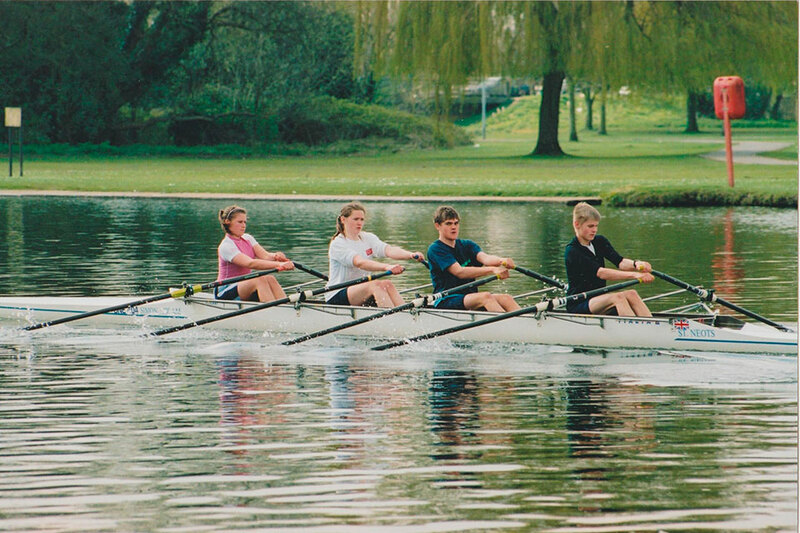 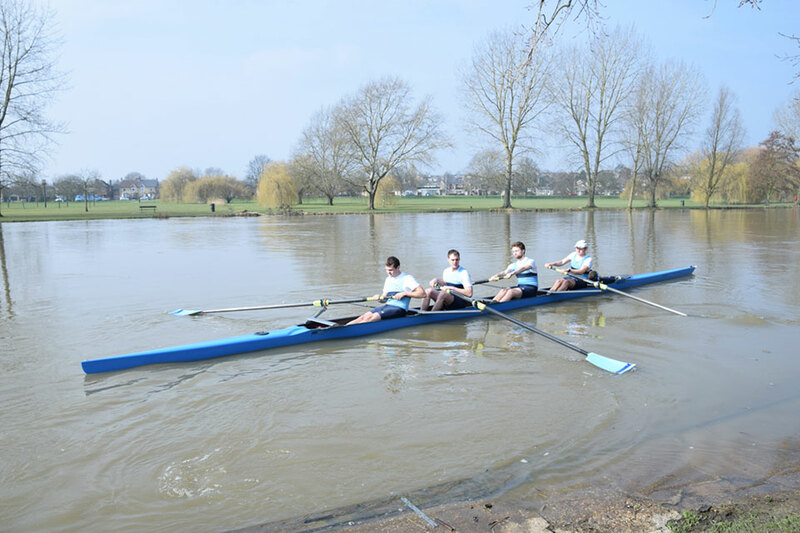 The coxed four was the last to have its name revealed – Alex Davies (left) – chosen to remember another former member who died young, aged just 22, in 2014. 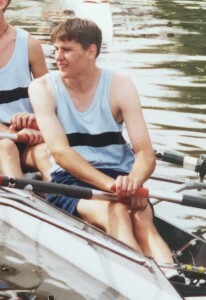 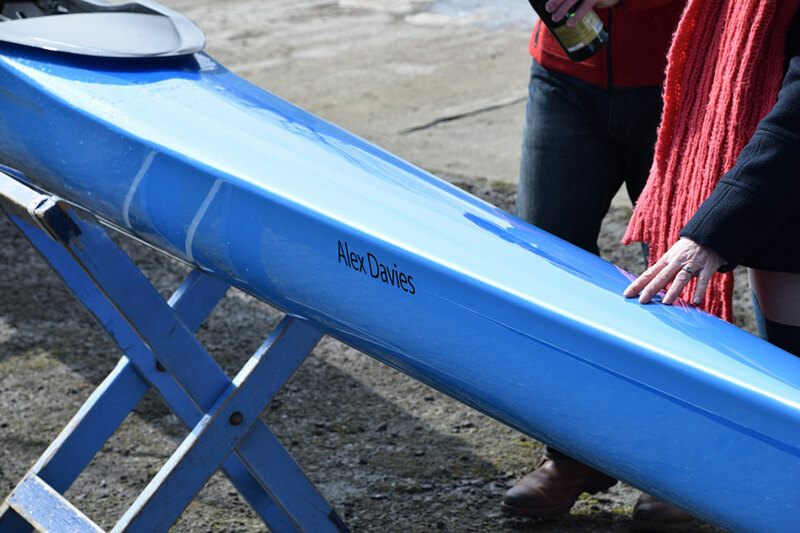 The name was revealed by Alex’s mum, Sarah Davies, who is herself a prominent rower at the club. 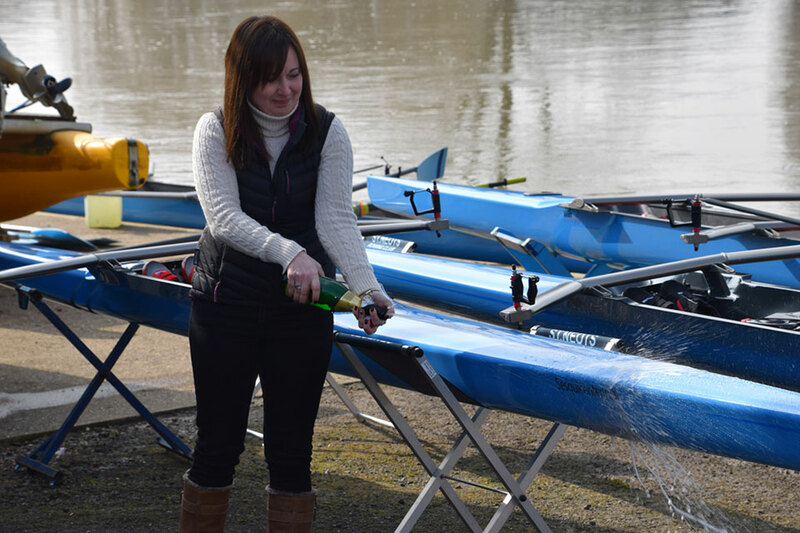 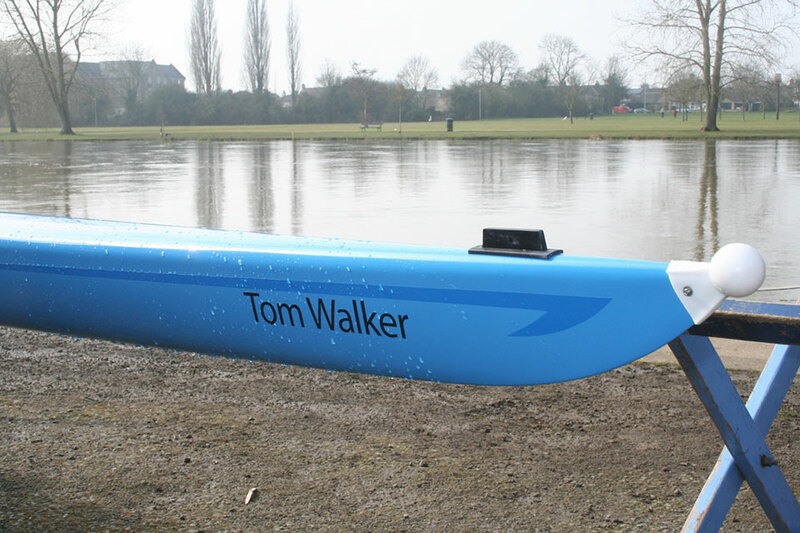 “We’d like to thank the members of St Neots Rowing Club for remembering Alex in this way,” said Sarah. 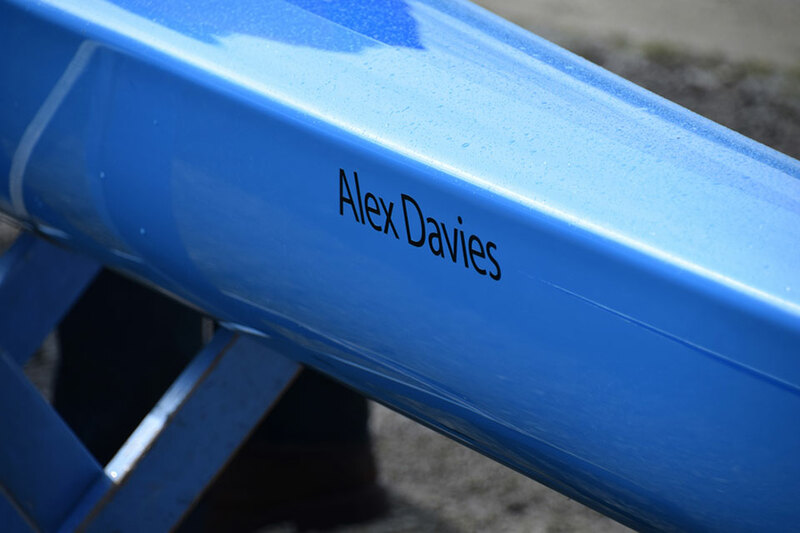 “Alex would have been quietly pleased and very embarrassed at having a boat named after him. 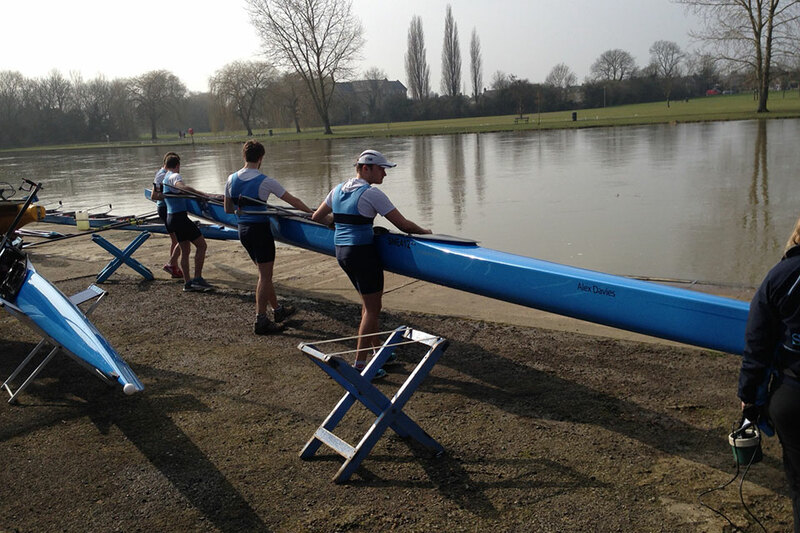 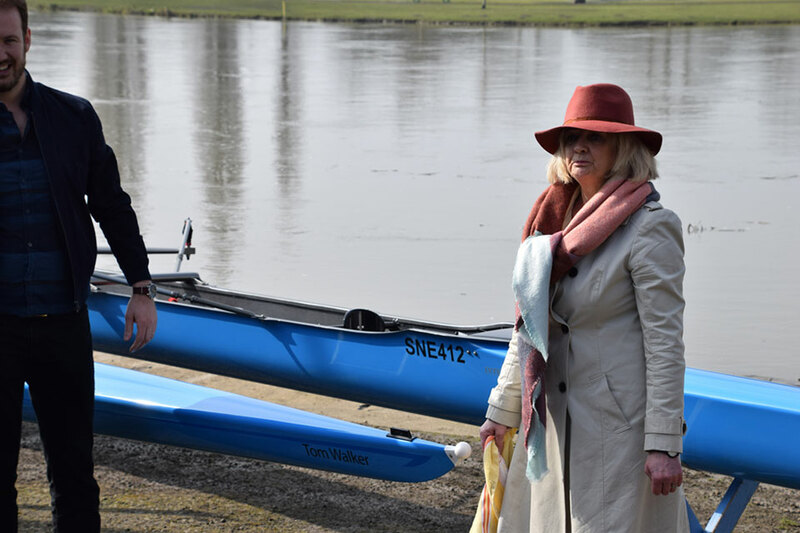 The tradition of giving newly named boats their first outing on the water had to be curtailed slightly, because river conditions were unsafe for singles. 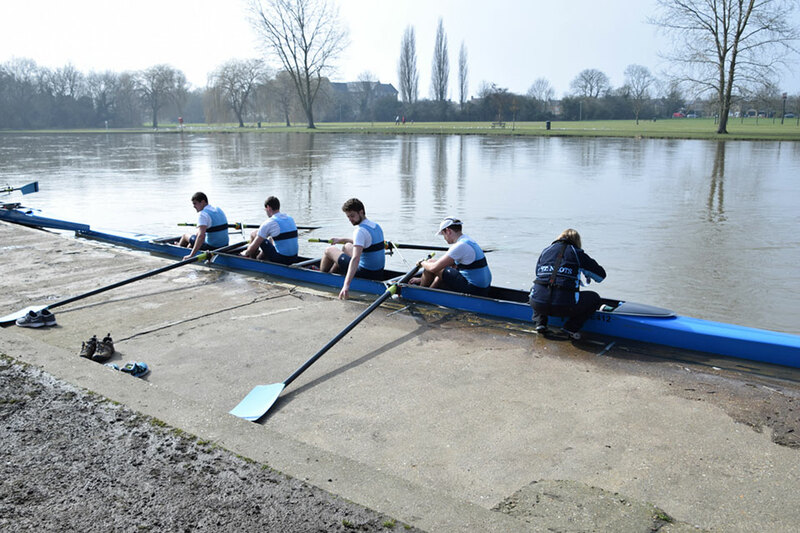 Instead, it was left to a crew led by men’s captain, Dom Chapman, to give Alex Davies its first outing as everyone looked on. 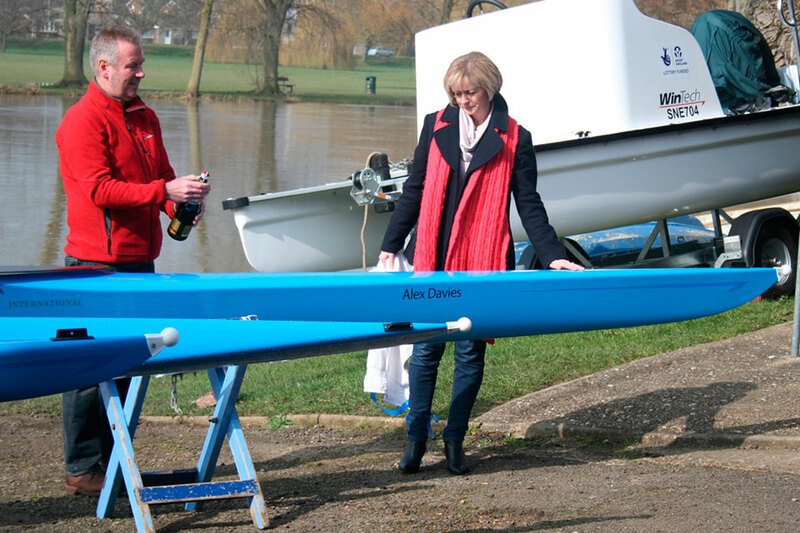 Two more new boats are due to be named at the club in the next few weeks.